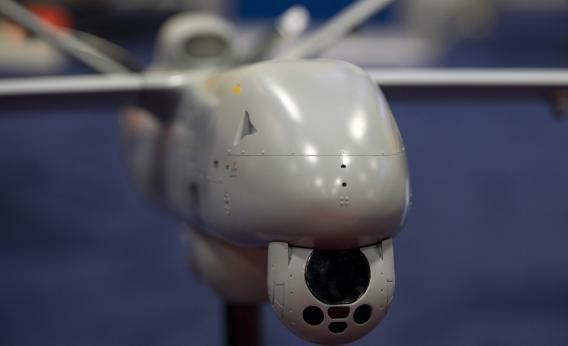 Don't say "drone": Drone manufacturers don't want you to call them that. Ben Wolfgang’s report from the Association for Unmanned Vehicle Systems International conference includes this precious anecdote. Why not say “drones”? Wolfgang quotes AUVSI President Michael Toscano, who worries that people who think “drone” don’t realize that “there is a human being in the system” and “the human being is what makes the system.”* That sounds a little wide of the mark. There’s not a human being literally climbing through your window to see why you’ve been emailing your friend Faroul in Dubai, but we know that computers are collating metadata on email for some human to look at. No, drone paranoia is more primal, and the industry is still trying to understand it—while encouraging people not to use the wrong jargon. Rand Paul’s worries about drones extend to nonlethal surveillance drones, and he’s told me he worries about a future in which the Department of Agriculure might have robots collecting intelligence on farmers so that its agents could sweep in and bust them for growing the wrong crops. His “drone filibuster” wasn’t about that so much as the use of the low-risk unmanned drones to carry out targeted killings. Here’s how Nancy Mace, now running for Senate (as a Republican) against Sen. Lindsey Graham, put it. Is opposing a drone program against U.S. Citizens on U.S. soil really opposing our military? I would argue opposing “judge, jury and executioner” style drone strikes is standing up for the constitutionally guaranteed principles our military has been protecting for more than 200 years. It’s not actually about the Fear of a Robot Planet. It’s about the humans controlling said robots.